Dental Veneers are thin ‘facings’ of either porcelain or composite material which used to cover the front aspect of your teeth. They are very similar to a false nail in the way that they work. 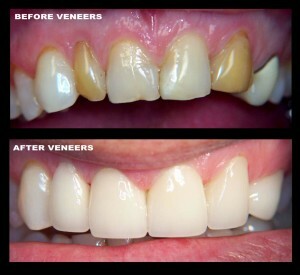 Dental veneers are a very effective cosmetic treatment with private and NHS options available. They are used mainly to correct cosmetic concerns such as chips, gaps, discoloured and broken teeth. 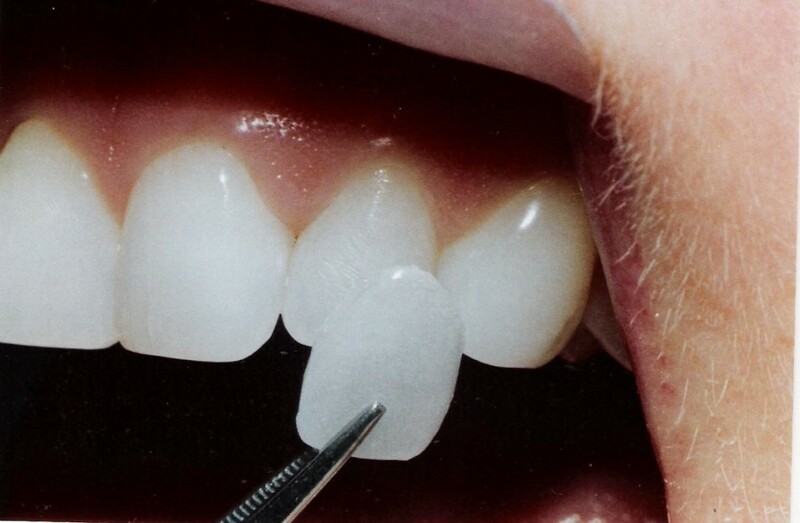 A great advantage of veneers today is their extreme durability and they are a great long-term. Many people would class veneers as a celebrity Hollywood smile but veneers are affordable, it’s a simple procedure and worth it if you are looking for that perfect smile! Treatment times vary depending on each case; however the whole procedure can be completed in less than 2 weeks from start to finish. Tooth preparation may often be undertaken without any anaesthetic making it all the more easier. Once the veneers have been fitted they can give service for many years, providing they are taken care of with good oral hygiene, which includes regular 6 monthly visits to the practice for your routine examination. In many cases dental veneers can be available under the NHS, but if not we still offer them on an affordable private basis. There are differences between NHS and Private veneers, when choosing private work to be carried out there is more choice on what type and shade you wish your veneers to be and more time spent in surgery discussing and carrying out the treatment. Should you wish to view more information on dental veneers and other cosmetic dental treatments you can view our videos which are available here. If you are enquiring about getting veneers, you can book yourself in for a FREE consultation appointment at your earliest convenience to see what is available and to receive an estimate on the options we offer.